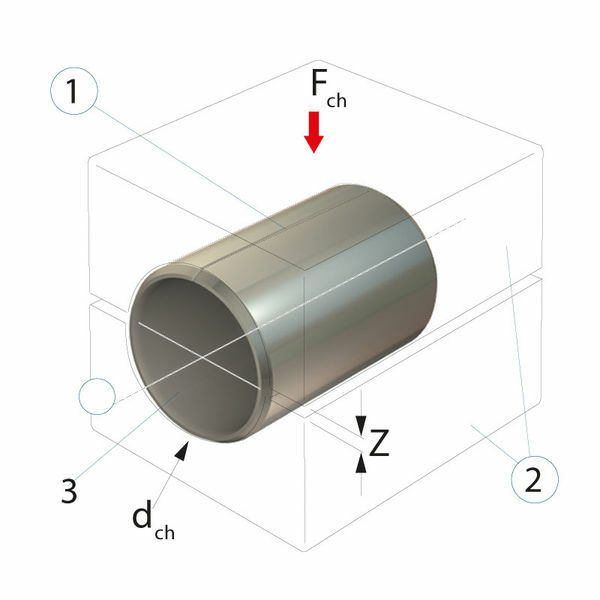 Unlike a cylindrical pipe section, wrapped plain bearing bushes are produced from a level section of material through shaping. They therefore feature a joint that may be open when free. 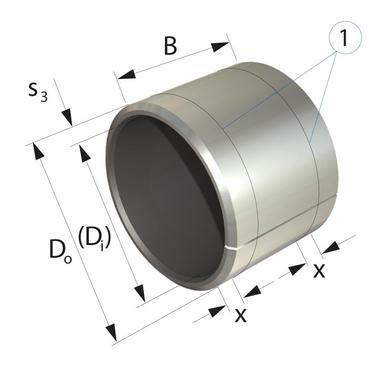 The wrapped bush only has a closed joint and the required dimensional and contouring accuracy after it has been pressed into the bearing housing. 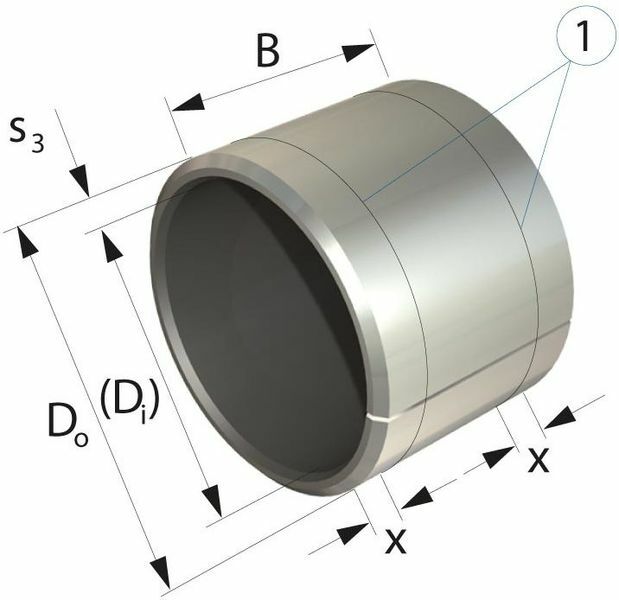 Before mounting, the outside diameter Do and inside diameter Di of wrapped bushes can only be measured using special test methods and testing devices. Here, the wrapped bush is placed into a two-piece test holder with defined test diameter dch, with the joint facing upwards. The test holder is subjected to a test force Fch. The distance z between the dies changes under the test force. The bush diameter DO is then calculated from this measured value Δz. Wrapped bushes with an outside diameter Do > 180 mm are tested using a precision tape measure. Here, the tape measure is placed around the centre of the bush, and sufficient tension applied to close the joint. The measured circumference Δz indicates the difference between the adjusting mandrel and the bush. From this value, the bush outside diameter DO is calculated. The wrapped bush is pressed into a gauge ring with a test diameter defined according to DIN ISO 3547 Part 1, Tab. 5. The bush inside diameter D is checked using a go/no go plug gauge or a 3-point touch probe. The wall thickness s3 and bush inside diameter must not be given simultaneously as a test dimension. The section on the testing of wrapped bushes describes the most important processes in a generalised fashion. It is to be used purely for the purpose of information. The exact procedure is set out in the respective current standards. These standards alone must be used to determine the dimensional and functional quality of wrapped bushes.